Sweetness from the fruit, and little bit of zing from the mustard...makes for a great flavor combination! 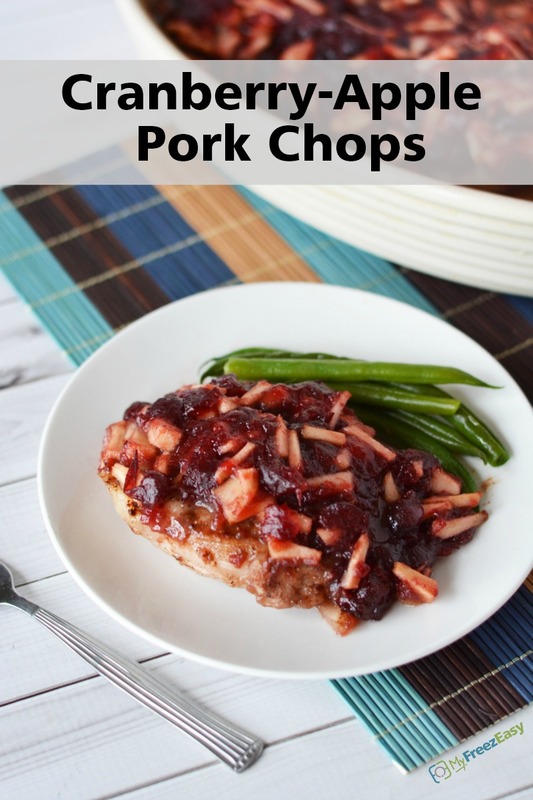 No boring, dry pork chops here - enjoy! Preheat oven to 375 F/ 190 C. Spray a 9×13 inch glass baking dish with non-stick cooking spray. Place the pork chops into the baking dish and sprinkle with salt and pepper. Peel and chop the Granny Smith apples. In a small mixing bowl, combine the whole cranberries, diced apples, spicy mustard and cinnamon. Pour the sauce over top of the pork chops and bake in the preheated oven for 30 to 35 minutes, or until pork chops are cooked through. Cooking time may vary, depending on thickness of the chop. Prepare rice and fresh veggies. 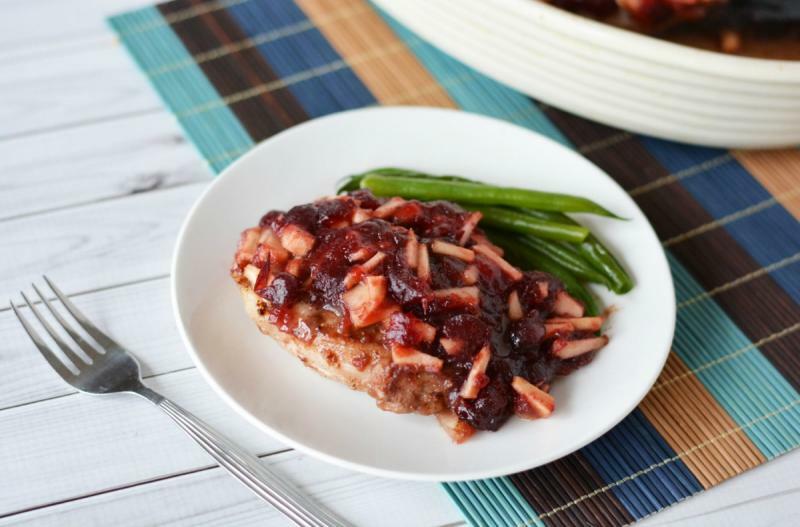 Serve Cranberry-Apple Pork Chops with a side of rice and veggies. Peel and chop 4 Granny Smith apples. Whisk together 2 - 15 oz. cans whole cranberries sauce, the chopped apples, 1/4 cup spicy mustard, and 1 tsp cinnamon. Cover each tray with foil. Pull out the tray the night before and thaw overnight in the fridge. Cook as directed. If only partially thawed, keep covered and bake for an additional 20-30 minutes and then finish baking as directed and until pork chops are cooked. Thaw and bake at 375 F/190 C for 30 to 35 minutes, or until pork chops are cooked through.